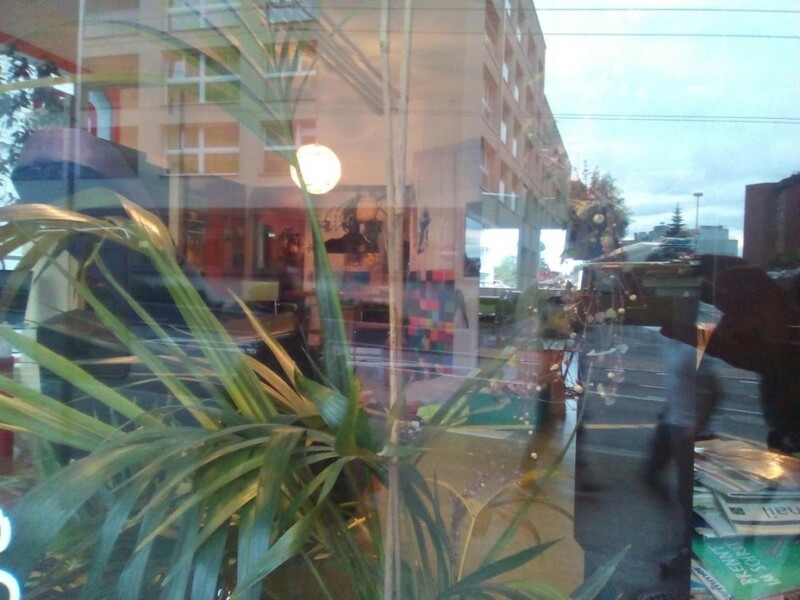 In this relational work in the form of a Performative Installation, I aimed to recreate the “safe environment” of my kitchen/art-studio in a public space, namely the Jugend Buero Office in Emmen, Luzern. Using a photographic printed collage of the real kitchen walls as a backdrop, I created the environment with furniture, plants and objects from my real kitchen and stocked myself with lots of art-material, musical instruments and refreshments. For 10 days (16-26.6.2016) I inhabited this space and did what I usually do in my kitchen studio – eat, entertain, make art and relax. 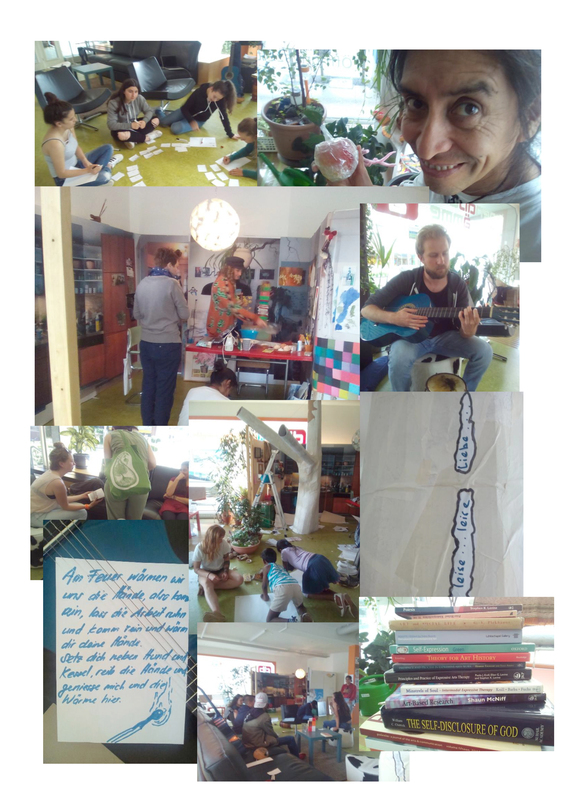 During this period, over 50 people visited the kitchen and participated in some form of art-making that included – poetry, creative writing, music and sculpture. An important outcome was the sharing of this expressive work, often with strangers. My role then essentially was to make people feel safe and comfortable enough to do so. I not only facilitated these interactions but also ensured a steady supply of tea and refreshments. What was most noticeable was that most guests spent several hours in the space. As a reminder of the intervention I made, and left behind on the request of my hosts, a tree sculpture of carton collaged with all the texts produced during the week and the promise to be back with another intervention whenever the chance arose.